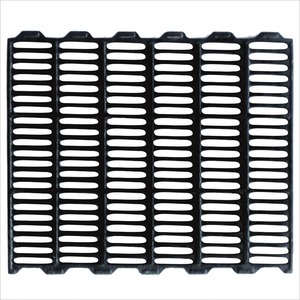 3.Smooth surface and high/low textured for sow traction. 7.Painting:surface painting and anti-corrosion painting. 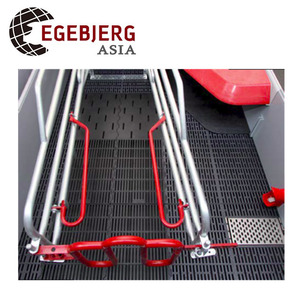 8.Advantages of cast iron floor with each bar can bear 700kgs. 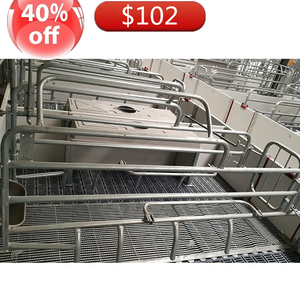 4 YRS Qingdao Deba Brother Machinery Co., Ltd.
1 YRS Qingdao Chima Machinery Co., Ltd.
9 YRS Wuhan Red Star Agro-Livestock Machinery Co., Ltd. 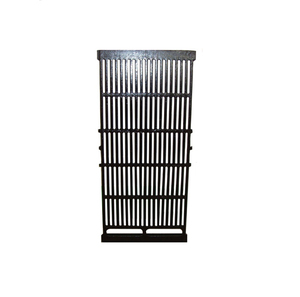 The cast iron slats are used for boars ,sow . All the surface and areas between the bars are being deburred. 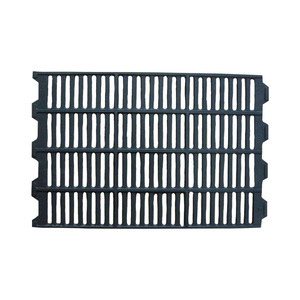 And our pig slats are well welcomed by customers at home and abroad. 9 YRS Qingdao Deba Brothers Machinery Co., Ltd.
1 YRS Zhengzhou Reding Machinery Co., Ltd.
8 YRS Qingdao Xinbaofeng Industrial Trade Co., Ltd.
Our mission is to put quality first and treat customers supremacy. a. We have two factories over 56,000sqm and owns more than 150 experienced engineers and workers. Q: Can you arrange the shipment in busy season9 A: We ship more than 500 container every year. 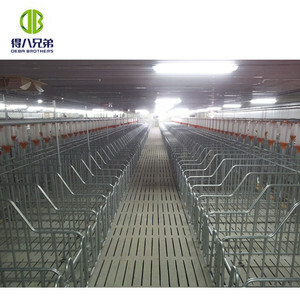 2 YRS Cangzhou Hongji Poultry Equipment Co., Ltd.
2 YRS Qingdao Baolian Machinery Co., Ltd.
Q: How long is your delivery time9 A: Generally it is 3-7days if the goods are in stock. or it is 15-30 days if the goods are not in stock, it is according to quantity. The way of payment is different from different countries and regions, please consult the customer service, thank you. 5 YRS Qingdao Xinfengchen Industry & Trade Co., Ltd.
2 YRS Qingdao Trust & Deal Farmneeds Equipment Co., Ltd.
7 YRS Henan Ffaith Industry & Commerce Co., Ltd.
2 YRS Xinxiang Xinzhengda Farming Equipment Co., Ltd.
1 YRS Cangxian Zhisheng Farming Equipment Co., Ltd.
9 YRS Gaotang Huitong Machinery Processing Co., Ltd.
6 YRS Qingdao HY Machinery Co., Ltd.
1 YRS Beijing Risol Honyuan Tech Co., Ltd.
10 YRS Botou Dongli Casting Co., Ltd.
Alibaba.com offers 2,041 cast iron pig floor products. About 52% of these are animal cages, 32% are other animal husbandry equipment, and 10% are animal feeders. 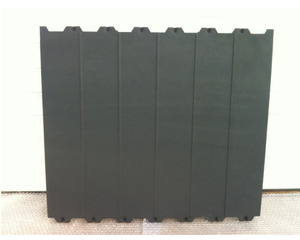 A wide variety of cast iron pig floor options are available to you, such as free samples, paid samples. 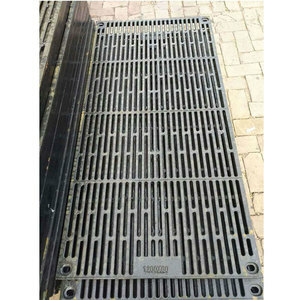 There are 2,041 cast iron pig floor suppliers, mainly located in Asia. 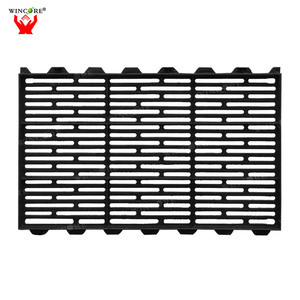 The top supplying country is China (Mainland), which supply 100% of cast iron pig floor respectively. 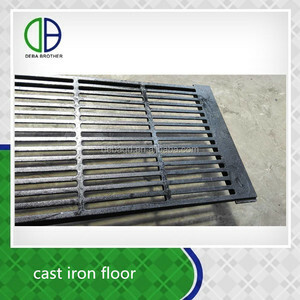 Cast iron pig floor products are most popular in Southeast Asia, Africa, and South America. You can ensure product safety by selecting from certified suppliers, including 396 with ISO9001, 26 with Other certification.